Who is God the Spirit? 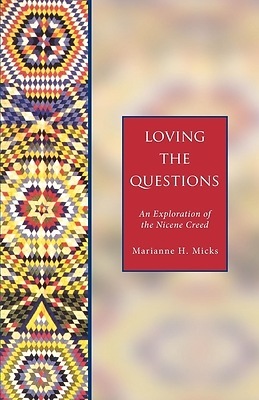 Loving the Questions is a series of reflections on the questions raised by the Nicene Creed, a fourth-century statement of the Christian faith still used regularly in worship in churches around the world. Taking us through the creed step-by-step, Marianne Micks not only poses the questions most asked by contemporary Christians, but also teaches us to delight in the questions themselves. Faith accompanied by doubt, she believes, is far healthier that faith that never asks "why?" In short, accessible chapters Micks informs us of the historical background of the Nicene Creed and reminds us of the creed's theological, communal, and personal relevance today.